In the capitals of European democracies, leaders are hailing a new era of co-operation with Russia. Berlin claims a “special relationship” with Moscow and is moving forward on a series of major energy projects with Russian energy giant Gazprom, one of which is led by the former German chancellor Gerhard Schröder. Italian prime minister Silvio Berlusconi traveled to St Petersburg late last year to join in the celebration of his “great friend” Vladimir Putin’s 59th birthday. And in Paris, negotiations are under way for a major arms sale that would allow Russia to acquire one of the most advanced ships in the French navy. At the same time, democratic dissent inside Russia has been ruthlessly suppressed. 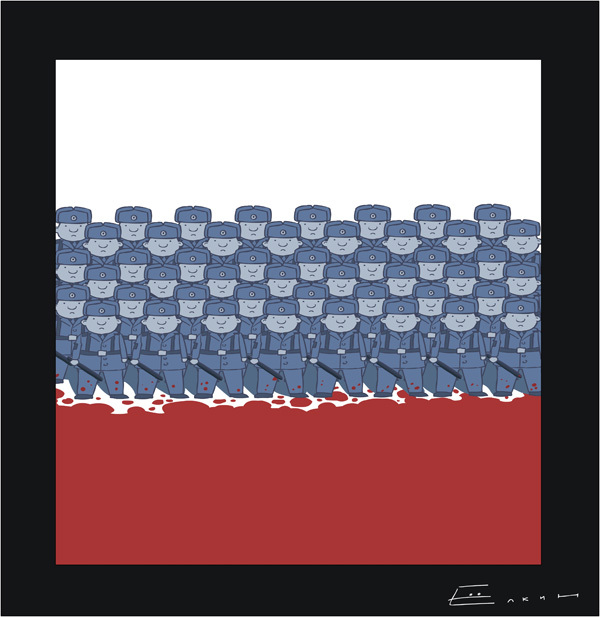 On 31 January, the Russian government refused to allow the peaceful assembly of citizens who demonstrated in support of … the right to free assembly, enshrined in article 31 of the Constitution of the Russian Federation: the right “to gather peacefully and to hold meetings, rallies, demonstrations, marches and pickets”. At last, a leader of the Russian opposition — Garry Kasparov, writing in the Wall Street Journal — has openly declared what everyone has known for months now, that U.S. President Barack Obama is coward and a traitor to the democratic cause. The first meeting of the loftily named U.S.-Russia Bilateral Presidential Commission’s Civil Society Working Group took place in Washington, D.C., on Jan. 27. Russian presidential first deputy Vladislav Surkov is the group’s co-chair—despite a letter of protest signed by 71 GOP members of the U.S. Congress pointing out that Mr. Surkov is “one of the masterminds behind Russia’s authoritarian course.” The letter urged President Obama (in vain, as it turned out) to boycott the meetings until Mr. Surkov was replaced, perhaps by someone who hasn’t spent his career actively destroying the sort of civil society this working group is intended to promote. 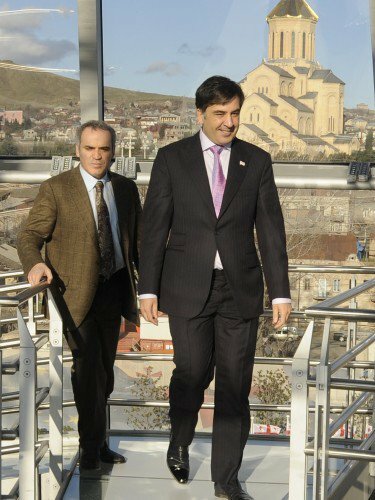 Olga Gulenok of Yezhedevny Zhurnal interviews Garry Kasparov, as translated by The Other Russia. The Russian National Assembly, a gathering of political and social forces dedicated to democracy in Russia, recently held its second conference on the future organization of the country, “Russia After Putin.” A series of articles of the same name were published by National Assembly bureau member, United Civil Front leader, and Solidarity co-leader Garry Kasparov. The thoughts and proposals laid out in these articles elicited a stormy reaction from within the internet community. In an interview with Yezhednevny Zhurnal on November 23 to further explain his positions, Kasparov discussed the goals of Russia’s united political opposition, the importance of Russia’s integration into Europe, and the futility of Medvedev’s plans for modernization. Garry Kimovich, in your opinion, how successful overall has the opposition been in moving forward in the development of its “way of the future,” given that it has been criticized for lacking one? The National Assembly is an arena that was created for different ideological forces, united by a rejection of the current system, to discuss an agenda for the future of our country. The inability of the governing regime to make changes adequate for the demands of the 21st century has imposed this necessity upon us. Preserving the status quo has lead to the ruin of our state. An understanding of the doom of this regime and of these other menaces – which invariably lead to an uncontrolled collapse through our rotten government agencies – formed the basis for the unification of the opposition. It has become fashionable to speak of change and liberalization in Russia under President Dmitry Medvedev. May 7 marked his one-year anniversary in office. He has recently granted an interview with an opposition newspaper, allowed a few human-rights activists to criticize Russia’s regime, and even started a blog. There is also a new administration in Washington that wants a fresh start with foreign powers. However, Mr. Medvedev’s gestures have not been matched by policy. It is more appropriate to think of Russia as living under Vladimir Putin’s ninth year in power. Mr. Putin is now prime minister but still in charge. His agenda of oppression and plunder is still the course in Russia. The Kremlin’s willingness to install its candidates in office and persecute its opponents remains undiminished. Last month, the Putin government inserted itself into the mayoral election in Sochi, a resort town on the Black Sea that has been selected to host the 2014 Winter Olympics. Police have prevented two marches by anti-government demonstrators in Moscow and St. Petersburg, detaining at least 100 protesters. Police trucks ringed two Moscow squares where protesters were to gather, and officers arrested dozens of people. In St Petersburg, police blocked 100 protesters from marching on the city’s main thoroughfare, arresting 10 people. 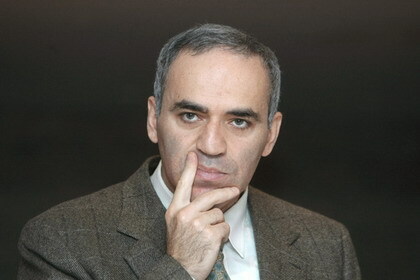 The protests were the latest organised by former chess champion Garry Kasparov’s Other Russia movement. Other Russia has tried to stage several protests it calls dissenters’ marches. Among those arrested on Sunday was Mr Kasparov’s fellow leader, Eduard Limonov. Even as Barack Obama faces front-page issues like Iraq, Iran and Afghanistan, he will still have to find the time and courage to deal with a certain nuclear-armed autocracy that controls much of the world’s oil and gas. How should Mr. Obama deal with Russia’s official president, Dmitry Medvedev, and Russia’s real leader, Vladimir Putin? The choice is straightforward: Mr. Obama can treat them like fellow democratic leaders or like the would-be dictators that they are. His decision will tell the world a great deal about how seriously he takes his promises of change. The Kremlin is very eager to be accepted as an equal. It apparently hopes that Mr. Obama will send the signal that democracy in Russia doesn’t matter, that the Kremlin’s crushing of the opposition and free speech is irrelevant, and that annexing pieces of neighboring Georgia is a local issue and not an international one.